Sometimes good things happen to you when you least expect it. My amazing find happened when I was on holidays in Adelaide without a toner. I normally use the Avene Thermal Spring water (which I've raved about here before. Seriously you NEED to try it!). But since the bottle wouldn't be cleared through airport security, I lovingly left it at home. I thought that I could live without a toner. Thought. Actually I can't. After a day I changed my mind and headed out to Priceline to find a toner. I really didn't know what I was looking for but came across this. Remember how I said good things happen when you least expect it? This is one of those good things. I still love my Avene mist, but this has over taken it. The mist is a gorgeous, refreshing mist that's perfect for after cleansing. It's much more than a toner. The Aloe, Vitamin B5 and Vitamin C in the mist helps to hydrate your skin and brighten it. It can be used on any skintone, and also used throughout the day to refreshen. I prefer mists over liquid toners, so this is perfect for me. It also has a gorgeous smell. It's a floral, lavender smell, that makes me want it to be spring time. 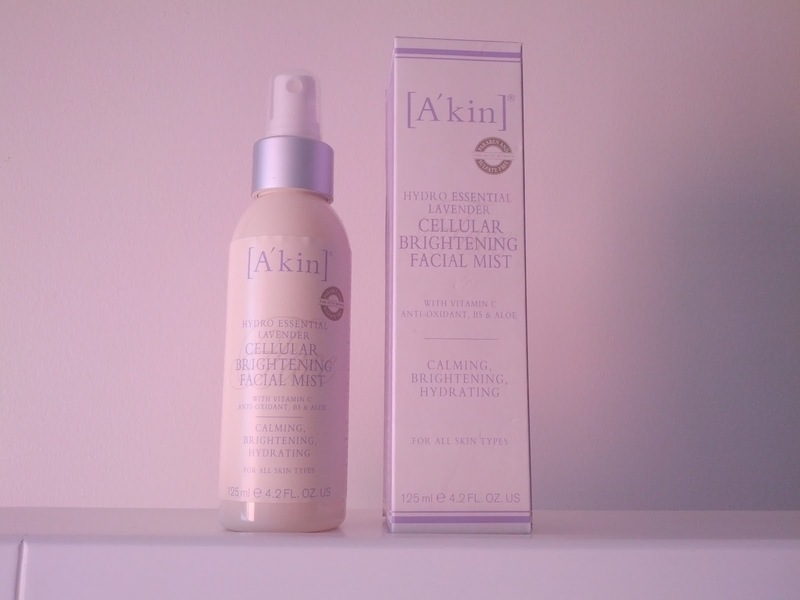 I adore Akin products. They have quality products at great prices. They are also Australian owned and made, don't have nasty ingredients like parabens and sulfates, and don't test on animals. Now if only they made make up!! Do you love Akin as much as I do? What's your favourite natural/cruelty free brand? I Love Sukin's Hydrating Mist Toner. It is a combination of German Chamomile and rosewater. Cheap too! Oooh! I love Akin, so will have to give this one a try. Am using the Trilogy toner atm and loving it!